Why Did Jesus Wash Feet??? We are asking that question due to the fact that Jesus literally washed feet. If we are to literally follow in His footsteps, we might have the grand idea to start some sort of Mani-Pedi business for the Glory of God! However, any educated person will soon realize that the act of washing the feet is an example. 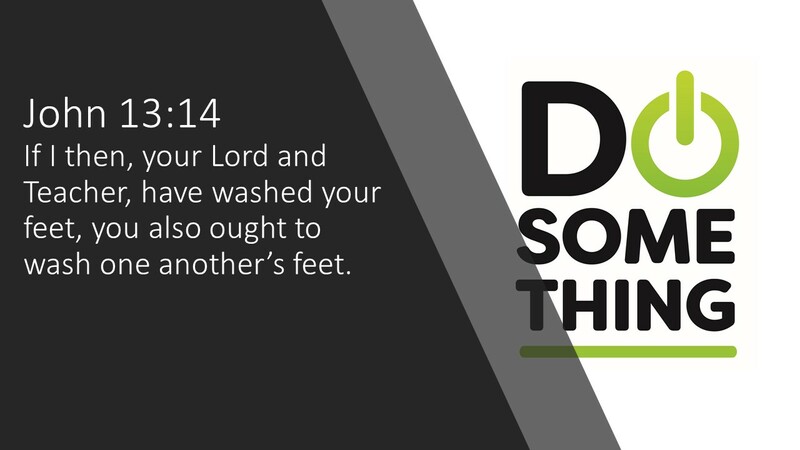 Jesus clearly wanted his Disciples within the account of John 13 and now the Disciples in our present time to take away more than just the act of washing stinky feet of those that didn’t really want to have their feet washed by the TEACHER. AHHHHH, TEACHER! Now, that sounds like a verbal cue that we can work with! That is why we keep coming back to the Word of God and keep learning. We know that Jesus is still teaching us today and had way deeper implications to his actions than the common, literal approach. Yet Jesus willingly dropped to his knees in the position of this extra-lowly slave to wash the disciples’ feet in John 13:1–20. The disciples were immediately shocked, and it seems, embarrassed by this act of humility. But their surprise should be no surprise to us. “There is no instance in either Jewish or Greco-Roman sources of a superior washing the feet of an inferior.”2 And this was the Creator of the universe on his knees washing the dirt from the callused feet of his followers! When Simon Peter refused to have his feet washed, Jesus said, “What I am doing you do not understand now, but afterward you will understand” (John 13:7). Whatever the meaning of the foot washing, it was not immediately evident to the disciples. The washing provided an example of love towards one another (John 13:12–17), but it also forecasted something. Taking this view, we can look at what we are munching on and think with a broader view. If Jesus, our Lord and Savior, has stepped down to the lowest place as that of a slave or servant, then we ought to step down to the lowest place as a slave or servant to Jesus Christ and serve others. This is is the challenge in our own lives. As Jesus asked His Disciples to follow His example in John 13, He also calls us to do the same. Why did Jesus wash feet? To show us how to live a life that invites the Kingdom of God to come in our own lives and let the Father’s will be done in our present time.